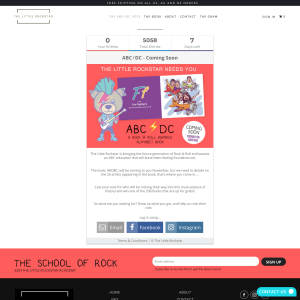 The Little Rockstar is bringing the future generation of Rock & Roll enthusiasts an ABC education that will leave them feeling thunderstruck. Cast your vote for who will be rocking their way into this musical piece of history and win one of the 200 books that are up for grabs! So what are you waiting for? Show us what you got, and help us rock their cots ? ?